Many consider the world of social media to be the last frontier when it comes to marketing. While some people are social media junkies, there is a big difference between photographing your lunch for Instagram and effective social media marketing. Leveraging the power of social media to increase your web presence, cement your brand identity, and further your business is a dynamic and complex process. Social media marketing is a key part of any business’s marketing strategy. However, knowing just how much to spend can be difficult. If you aren’t the most social media savvy, it can be hard to know what exactly you need. How do you know what steps you need to take to conquer the Twittersphere? If you have questions about social media marketing, keep reading for some answers! Social media’s popularity is here to stay, and knowing how to leverage it can do wonders for your business. You can use social media to connect with current customers. You can also make future customers aware of your business and brand. 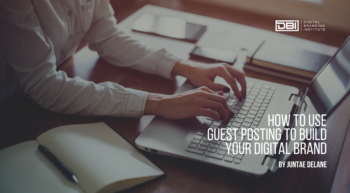 Depending on how you use social media, it can help inspire customers to connect with your brand. It can also make them aware of your products and services. If you feel a little lost, experts can help you choose which social networks to use, based on what will benefit your business most. All cater to different needs and have different types of audiences and uses. A solid social media strategy will vary depending on the sites involved. It will involve consistent social posting and possibly paid ads. These can take the form of strategic blog posts, status updates, tweets, polls, images, videos, and contests. What Does A Social Marketing Plan Really Pay For? With over 3 billion active social media users around the world, it is not a market that any digital brand can afford to overlook. Anyone can sign up for Facebook, Twitter, and other social media sites for free. Many of these platforms even offer the option of opening free business accounts. While it is easy and free to open a business account on these platforms, that is only the start of all the work. Social media monitoring and management are time-consuming jobs. They also require a special set of skills and digital know-how. Without any kind of strategy, blind attempts at social media marketing can actually be quite expensive. 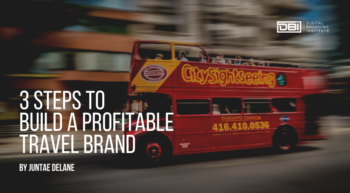 Pouring money into ineffective social media ads without any real strategy can be very costly. Spending money on ads that the right people do not see for months and months can be a drain on your resources if it provides little or no return. It may also be difficult to find someone on your staff already who has the right skills to manage multiple social media accounts and social ad campaigns day in and day out. Facebook is undoubtedly the most popular social media platform on the planet. With over 1 billion daily active users and many people using it multiple times a day, it is an almost unavoidable social channel. This means that if you market your business on Facebook, the chances of reaching at least a portion of your target audience are high. While it costs nothing to set up a business account on Facebook, simply making a page and asking those already in your social circle to like it occasionally is not enough. This is not the kind of effective marketing that achieves results, even if you have thousands of Facebook friends. 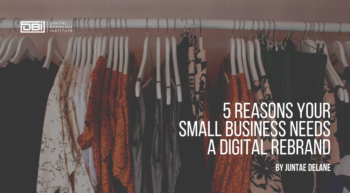 However, depending on the services or products your business offers, you might find that your target audience tends to congregate more on some social media platforms than others. It is important to pay special attention to the sites where your audience thrives. If your community on Instagram is very active and responsive, celebrate that. Be sure to factor it into your marketing strategy. However, be sure to have an active presence across more than one social media platform. Which platforms you choose to engage with, how heavily you use each, and what kind of content or ad strategies you use to promote your business on each is all part of a comprehensive social media marketing strategy. What Should You Spend On Social Media Marketing? The total cost of social media marketing efforts for your business depends on a number of factors. The specifics of your strategy will decide the cost. These include factors such as how many posts you want a day across how many platforms. What type of content and ads you choose to create and leverage will also play a part. It also depends on whether you choose to assign these duties to an in-house employee or outsource them to a company which specializes in social media marketing. How Much Do Others Spend? On average, companies who outsource their social media marketing spend roughly $200-$350 a day. Per month, that’s $4000-$7000. The yearly cost of this is between $48,000-$84,000. Social media marketing has become a very integral part of companies’ overall marketing strategy. In fact, in 2016 alone, companies spent an average of nearly 12% of their total marketing budgets specifically on social media marketing. Ultimately, the most important thing is not to spend as much or as little as possible on social media marketing. It is to spend smart. Also, keep in mind that social media marketing can generate large returns. However, this is only when it is done in the right way with a focused strategy. A dedicated and savvy expert team can help you create the right strategy for the right budget. They can help you get the growth and results you want for your business.